원래 고금운회거요는 중국 원나라 황공소(黃公紹)가 편집한 것을 태충(態忠)이 보완하여 해설을 달아 30권으로 편성한 음운서이다. 이 판본은 조선 세종 16년(1434)에 경상도도관찰출척사로 부임한 신인손이 『운회거요』가 간행되지 못한 것을 알고 세종에게 이를 아뢰어 경주부와 밀양부에서 간행하게 된 것이다. 그 간행에 있어 신인손 이외에 도사 박근, 경주부윤 김을신 등 여러 관리가 관여하였고, 판을 새기는 데에는 대선사(大禪師) 홍희 이하 20여 명의 승려와 이종생 이하 여러 민간인 등 총 109명이 참여하였다. 비교적 정교하게 새겨졌으며, 인쇄가 깨끗하여 원래 판본의 특징이 그대로 나타나 있다. 또한 이 책은 세종 29년(1447)에 완성된『동국정운』의 기본이 된다는 점에서 음운학상 매우 중요한 자료로 평가된다. 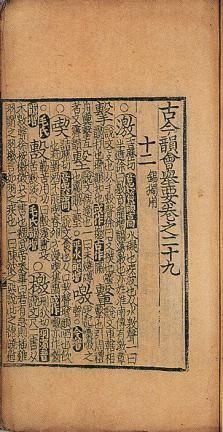 Consisting of 30 volumes, Gogeum unhoe geoyo (Condensed Version of Ancient and Modern Collections of Rhymes, Gujin yunhui juyao in Chinese) was originally compiled by Huang Gongshao of the Ming Dynasty and was later annotated by Tai Zhong of the Song Dynasty. 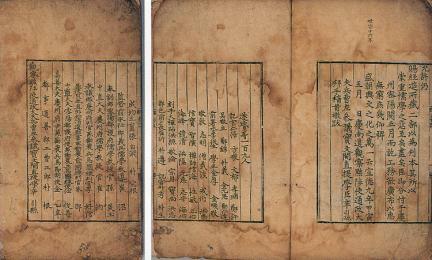 In 1434 (16th year of the reign of King Sejong of the Joseon Dynasty), the governor of Gyeongsang-do Province, Sin In-son, made a request to the king to publish this book in Gyeongju-bu and Miryang-bu. 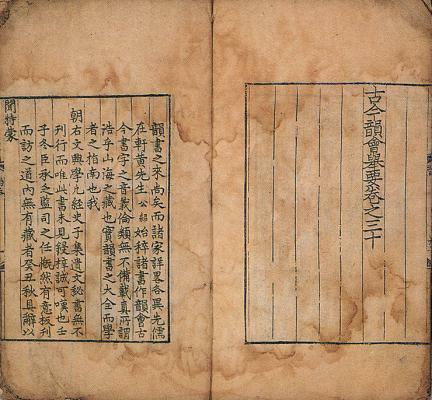 Many government officials, such as Park Geun and Kim Eul-sin, were involved in the book’s publication, with about 109 people including 20 Buddhist monks participating in the production of printing woodblocks. 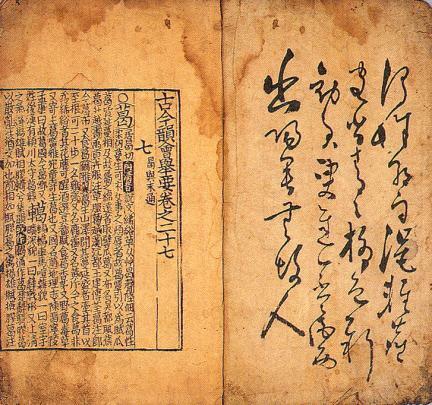 This book is regarded as a very important material for phonology because it was used as a basic reference in the compilation of Dongguk jeongun (Standard Rhymes of the Eastern State), which was completed in 1447 (29th year of King Sejong’s reign).